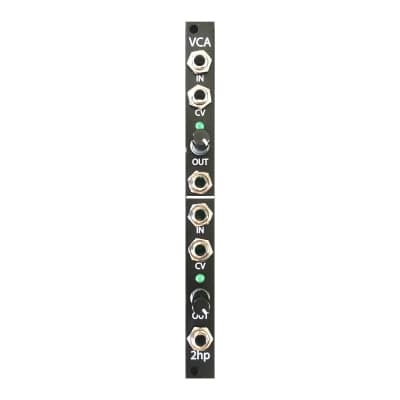 The 2hp VCA is a dual, linear VCA. It uses the renowned 2164 SSM architecture, giving it extremely low distortion and high quality audio outputs. With a CV input attenuator, and DC-coupled inputs this is your new go-to module for voltage controlled amplification of audio or CV.